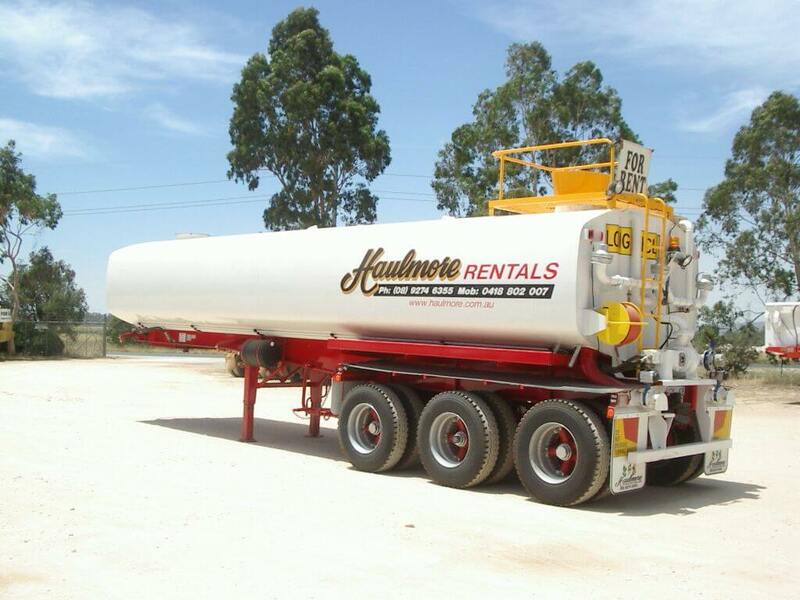 Our purpose built water tankers are suitable for use in road construction, dust control and general water cartage. 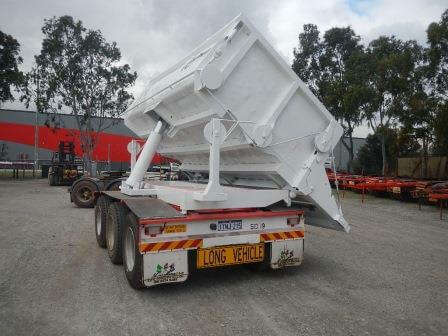 Trailers are fitted with 150mm inlet and outlet connections front and rear to allow the water tanker to be used in road train configurations. Special features of our water tankers include: Two section rear dribble bar 3 independently operated magnum sprays 150mm outlet tap fitted to the RNS Facility for bottom and top filling of tank Inbuilt overflow valve for use when legal highway cartage is required Live wash down hose reel Road train gear to the rear of the trailer Stress relieved skid plate assembly To find out more about Haulmore’s versatile, cost-effective and durable water tankers, contact us online or call us on 08 9274 6355. 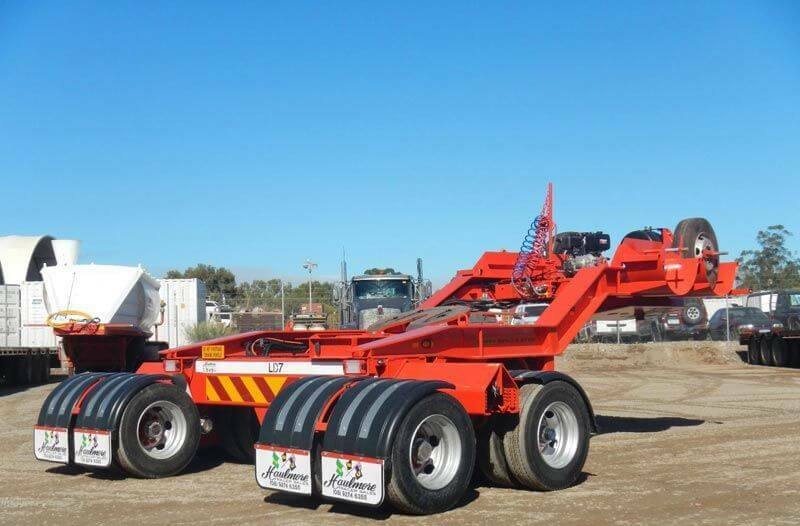 Low Loader Dolly Short or long term hire is available on this low loader dolly, two rows of eight with hydraulic spread from 2500mm to 3700mm. Features: Design rating - 40,000 kgs Tare weight - 5780 kgs Approx. payload - 40,000 kgs Adjustable 90mm turntable Yanmah Diesel Power Pack for use with various low loaders Contact us to find out more of get a quote. Low loader and plant trailers available for hire from Haulmore Trailer Rentals have the following features: Air suspension or conventional spring suspension From 30 tonne capacity Options: Beaver tails Hydraulic ramps Out riggers Gooseneck decks Expandable deck Hydraulic ramp platforms Hydraulic recovery winches Units available: 3 rows of 4 with ramps 4 rows of 4 with ramps 3 rows of 8 with ramps Low Loader loader Dollies dollies - 2 rows of 4 Low Loader loader Dollies dollies - 2 rows of 8 New Drake Full Widener Trailer The Drake 4 rows of 4 full deck widener trailer is a new addition to our fleet and available for a minimum rental of one week. 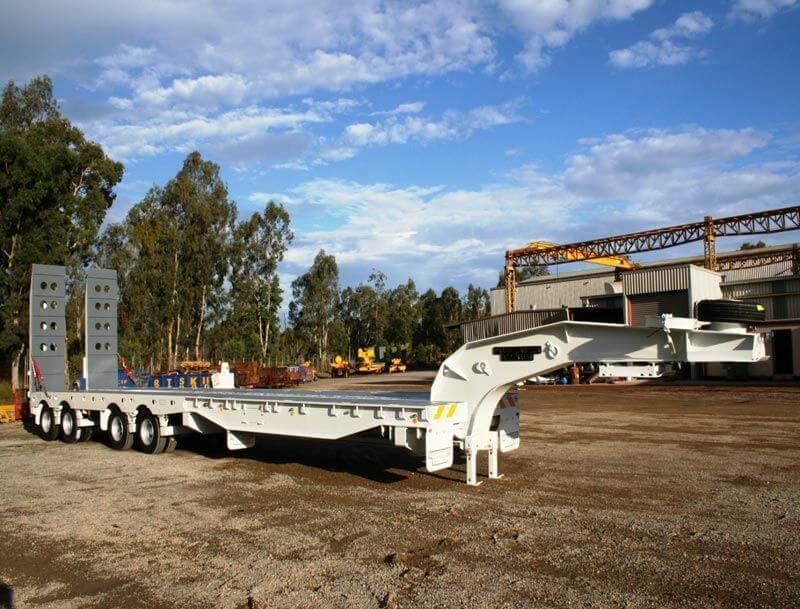 Features: Carrying capacity: 34,000kgs When used in conjunction with a 2 rows of 4 low loader dolly - 48,000kgs When used in conjunction with a 3 rows of 4 low loader dolly - 55,000kgs When used in conjunction with a 2 rows of 8 low loader dolly - 63,000kgs Operating tare weight: - 15,840kgs Design rating of frame: - 75 000kgs Deck length: 12306mm behind gooseneck Deck width: Closed: 2500mm, fully open: 3600mm Deck height: 1050mm Double hung ramps 4100mm x 900mm wide Angle of approach 12° Hydraulic power pack: Electric start to operate the deck widening as well as the ramps Skid plate: Sliding type to allow 1100 mm adjustment on the king pin lead King pin: 50mm – 90mm removable MRWA: The trailer is compliant with all MRWA regulations Axles: FUWA 508mm with drum brakes Suspension: Drake hydraulic Tyres: 255/70 Low Profile 16 ply Contact us for a quote and special rates for long term contract hire.